Yasmine is a Paralegal who joined the Dental Negligence Team in 2016. She acts for clients pursuing negligence claims relating to all aspects of dental treatment. "I just want to thank you from the bottom of my heart for your fantastic support over the last few months. Your actions have been absolutely superb. I found you totally aware of the medical implications and I fully understood what you put to me in all your correspondence. I was completely put in the picture of what was occurring and what was required at all stages" - Mr Paul Tuxford "
Yasmine graduated from the University of Surrey in 2015 with a law degree. As part of her studies she completed a professional training year, spending time in both a set of Barristers Chambers and a local Law Centre. She then went on to complete a Master’s degree in Medical Law at Queen Mary University of London, where she opted to study clinical negligence in depth. She graduated with Distinction in 2016. 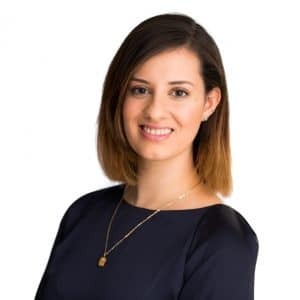 Yasmine has been a member of the Dental Negligence Team since November 2016, and is currently completing the LLM LPC at The University of the West of England. Yasmine manages a wide range of dental negligence cases, including substandard root canal treatment, substandard extractions and failure to diagnose decay. She also has a keen interest in orthodontic cases and those involving substandard restorations. Yasmine also assists other members of the Dental Negligence Team, working closely with Associate Katie Parr. Can rotten teeth grow back? Yasmine completed an LLB in Law at the University of Surrey, with a Professional Training year, before completing an LLM at Queen Mary University of London. She is currently completing the LLM LPC at The University of the West of England.